Ugofilippo BASELLINI has a joint PhD position at the Institut national d'études démographiques (INED) and the Max-Planck Odense Center on the Biodemography of Aging (MaxO). His main research interest is the development of novel statistical methods to analyze, model and forecast mortality by focusing on age-at-death distributions, which are well suited to study longevity and lifespan variability. He is also interested in the long-term relationship between life expectancy and lifespan equality, and in the framework of pace and shape of aging. Chih-Kai CHANG, received Ph. D. degree in Statistics from National Chengchi University and is currently an associate professor at Feng Chia University in Taiwan. He is also the Director of Actuarial Development and Research Center which advocates for actuarial research, social service and education in Taiwan. His professional interests focus on the actuarial model and liability valuation for social insurance, health care and unemployment insurance. A strong advocate for developing social service with Actuarial Science, he involves his students in current projects and research on the National Pension Scheme for the Ministry of Health and Wealth, Occupational Injury and Disease Insurance and Unemployment insurance for the Labor Bureau in Taiwan. In addition, he served as a member for the Enterprise Risk Management Committee in the Actuarial Institute of Taiwan, and is a member of Fellow of the Society of Actuaries. Cuixia CHEN is currently working on her PHD at Central University of Finance and Economics in Actuarial Science, and is due to graduate in June 2018. Majoring in Stochastic Control, Theory of Insurance, Actuarial Models, Advanced Microeconomics, Advanced Macroeconomics, Advanced Econometrics Courses. Fen-Ying CHEN is a full-time Associate Professor at Department of Finance, Shih Hsin University, Taiwan. Her majors are risk management, financial innovation and actuarial science. Dr. Chen teaches the courses of financial management, futures and option, fixed income securities and fundamental of financial engineering in Shih Hsin University. Her articles have been published in SSCI, SCI and TSSCI journals. Liang CHEN is a lecturer in the Department of Statistics, the School of Mathematical Science at University College Cork, Ireland. He is interested in modelling the longevity risk of small heterogeneous populations; critical illness and long-term care. Piet DE JONG is Professor of Actuarial Studies at Macquarie University, Sydney, Austria. He has over 40 years experience in developing, analysing and applying quantitative modelling tools including those used in econometrics, time series analysis, actuarial statistics and insurance modelling. He is the author of over 70 articles, books and book chapters in these areas. He has held positions at different universities around the world including the University of British Columbia, London School of Economics and universities in Australia. His current interests are blockchain technology and its applications in finance and insurance markets. Jin GAO is an Assistant Professor in the Department of Finance and Insurance at Lingnan University in Hong Kong. His current research interests include asset pricing theory, risk modeling in financial products and dynamic general equilibrium models to problems in risk sharing and financial products demand. He received his PhD in Risk Management and Insurance from Georgia State University (GSU). He has publications in journals in risk management, actuarial science and corporate finance, including Insurance: Mathematics and Economics, the North American Actuarial Journal, and the Journal of Banking and Finance. Prof. Gao serves on the Continuing Education Committee of the Hong Kong Society of Financial Analysts. Katja HANEWALD is a Senior Research Fellow in the ARC Centre of Excellence in Population Ageing Research (CEPAR) at the University of New South Wales in Sydney, Australia, where she is developing the research program of CEPAR's Australia-China Population Ageing Research Hub. Her research addresses risk management and insurance aspects of population ageing. Her current research investigates the design, pricing and risk management of retirement financial products and optimal retirement financial decisions of older households. Katja has held academic positions at Humboldt-Universität zu Berlin, Germany (2008-2010), and at the University of New South Wales (2011-2013), and worked at the German Federal Ministry of Finance (2013-2015). She obtained her doctoral degree in Economics from Humboldt-Universität zu Berlin in November 2010. Petar JEVTIC is an Assistant Professor at Arizona State University, School of Mathematical and Statistical Sciences, USA. Previously, he held a position of an Assistant Professor at McMaster University, Department of Mathematics and Statistics in Canada, where he also completed his Postdoctoral Fellowship. His research interests include topics from Actuarial Science and Mathematical Finance; in particular: Stochastic Mortality Models, Hedging and Securitization of Longevity risk, ALM, Optimal Control in Pension Schemes, Health Insurance, Lévy and Marked Point Processes. Malene KALLESTRUP-LAMB is an Assistant Professor at CREATES, the Department of Economics and Business Economics at Aarhus University. She is an active researcher in the fields of econometrics, with particular emphasis on mortality, longevity, ageing, pension, retirement and health. In providing useful insight in explaining and identifying longevity trends she has contributed with new types of mortality data that allows both pension funds and governments the ability to account for characteristics such as marital status, education, financial indicators, social class, and region in the estimation and forecast of mortality. Søren KJÆRGAARD is a Ph.D. candidate at University of Southern Denmark where he is affiliated with the Max-Planck Odense Center on the Biodemography of Aging. He received his B.Sc. degree in Economics and Management at Aarhus University in 2012 and in 2015 he obtained his master degree from the in Economics at Aarhus University. His main research interests lies in mortality modelling and forecasting and time series econometrics. Atsuyuki KOGURE is a Professor of Statistics and Finance at Keio University, Japan. He holds a Ph.D. in statistics from Yale University. His previous academic experiences include a visiting researcher at the Institute for Monetary and Economic Studies at Bank of Japan and a visiting researcher at the Insurance Risk and Finance Research Centre, Nanyang Technological University, Singapore. His main interest lies in the areas of risk modeling in insurance and finance. His recent research has focused on Bayesian methods for modeling multivariate risks and their applications to mortality-linked derivative pricing. 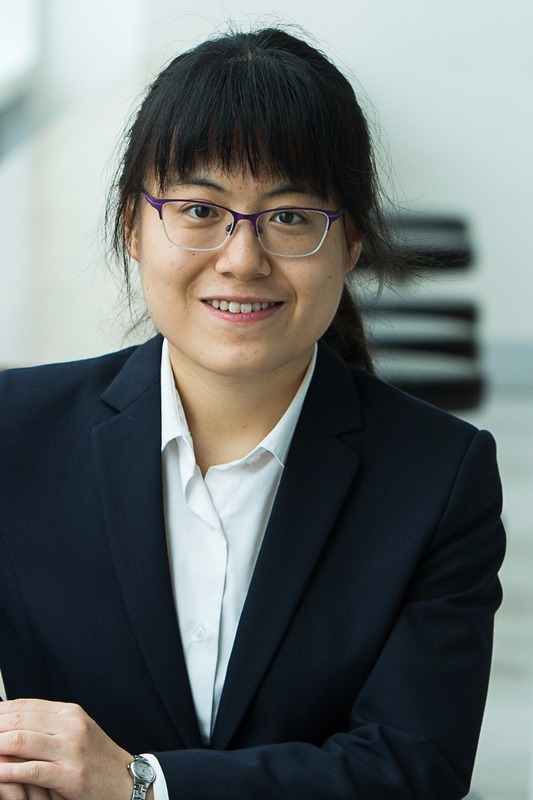 Han LI is a Senior Research Associate at the Australia-China Population Ageing Research Hub in the ARC Centre of Excellence in Population Ageing Research (CEPAR). She received a Bachelor of Commerce (Honours) degree in Actuarial Studies at the University of Melbourne and completed her PhD degree at Monash University. Her research expertise is in the field of mortality modeling and forecasting using advanced econometric and statistical techniques. She is currently working on projects involving multi-state health transition model and long-term care insurance in China. Han’s research has been published in top tier journals including Insurance: Mathematics and Economics and Journal of Forecasting. Johnny LI is the holder of the Fairfax Chair in Risk Management and an Associate Professor at the University of Waterloo. He holds a Ph.D. degree in Actuarial Science from the University of Waterloo and is a Fellow of the Society of Actuaries (FSA). He is a Co-Editor of the North American Actuarial Journal and a member of the board of directors of the Asia-Pacific Risk and Insurance Association. 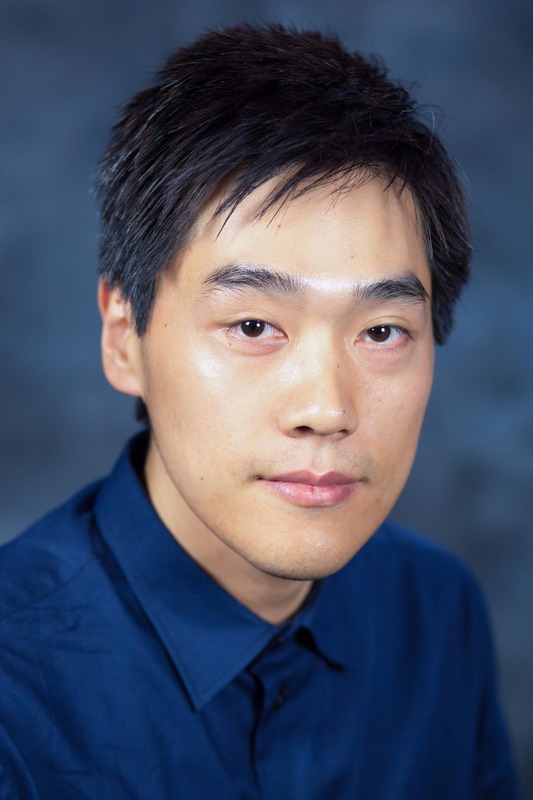 Professor Li's research interests encompass the fields of stochastic mortality modeling, longevity risk securitization, reverse mortgages, and actuarial applications in law courts. He publishes frequently in journals such as the Journal of Risk and Insurance, Insurance: Mathematics and Economics, the Geneva Paper of Insurance: Issues and Practice, and the North American Actuarial Journal. Professor Li has made significant research contribution to the area of longevity risk. His research in this area has brought him several awards, including the Harold D. Skipper Best Paper Award from the Asia-Pacific Risk and Insurance Association, the Edward A. Lew Award (2nd place) from the Society of Actuaries, and a Best Paper Award from the Actuarial Society of Hong Kong. He was a Co-Chair of the Eighth International Longevity Risk and Capital Markets Solutions Conference. I-Chien LIU is an Assistant Professor of the Department of Insurance and Finance at National Taichung University of Science and Technology in Taiwan. He received his PhD at the Department of Risk Management and Insurance at National Chengchi University in Taiwan. His research areas cover embedded option for insurance products, reverse mortgage, mortality modelling and longevity risk. He has published articles in the Journal of Risk and Insurance, Insurance: Mathematics and Economics, and Geneva Papers on Risk and Insurance-Issues and Practice. 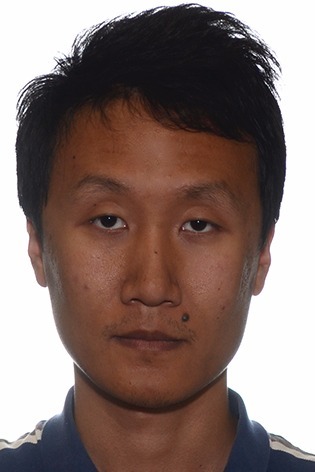 Pintao LYU is a Ph.D. candidate at CentER of Tilburg University and Pricing & Hedging Department of Nationale-Nederlanden. His research fields are Risk Management, Asset Pricing and Financial Econometrics. He focuses on the topics such as longevity risk, annuity pricing and mortality modelling. Pintao received his M.Phil in Economics from CentER of Tilburg University in 2017, and a B.A. in Economics from Central University of Finance and Economics in 2015. Richard MARSHALL is a consultant within the UK Life Insurance team of Willis Towers Watson, where he leads the UK’s mortality modelling team with responsibility for the development and upkeep of the company’s medical mortality model, pandemic model and other stochastic mortality projection tools. A recently qualified Fellow of the Institute of Actuaries, he has five years’ experience, predominantly of mortality/longevity related projects. The study of non-medical drivers of mortality. He has a doctorate in Mathematics from the University of Leeds (UK). David MCCARTHY had had a varied career in academia, industry and government. Before completing his PhD at the Wharton School of the University of Pennsylvania, he worked as an actuarial trainee in a large life insurance company in my native South Africa. Subsequently, David worked in academia at Oxford University and Imperial College, London, where he started and ran an actuarial MSc program. He took a sabbatical from academia to advise the National Treasury of South Africa on financial sector regulation, public-sector pensions and retirement reform. This varied background has given him a unique and informed perspective on issues of national and international importance related to population ageing, retirement provision and financial sector regulation. David’s academic work focuses on inter-generational transfers and risk sharing, the analysis of mortality risks, annuities, financial sector regulation and retirement system design and operation. David is a Fellow of the Faculty of Actuaries, Edinburgh, UK. Marius PASCARIU is a Ph.D. research fellow at University of Southern Denmark (SDU) with particular interests in mortality modelling, longevity risk and actuarial science. Prior to enrolling at SDU, he was affiliated with Max-Planck Institute for Demographic Research in Germany. He holds a master’s degree in cybernetics and quantitative economics from Bucharest Academy of Economic Studies. Pawel ROKITA is an assistant professor at Wroclaw University of Economics, Department of Financial Investments and Risk Management. For several years, his research was focused on the area of market risk measurement and dependence measurement, including dependence between extreme values. At present, his interests encompass such fields as stability of financial system, systemic approach to financial markets, legal aspects and taxation of derivative instruments, and personal finance. As far as the field of personal finance is concerned, he is a member of a research team which is developing a life-cycle-spanning integrated model of household risk. As part of this project, he co-authored a book called “Integrated Risk Model in Household Life Cycle”. Johannes SCHUPP (M.Sc.) is a consultant at the Institut für Finanz- und Aktuarwissenschaften (ifa), an actuarial consulting firm based in Ulm, Germany (www.ifa-ulm.de). The focus of his consulting work is on the development and implementation of innovative life insurance products and actuarial bio-metric models. Johannes is a Ph.D. student in actuarial science at the institute of insurance science at Ulm University (http://www.uniulm.de/en/mawi/institute-of-insurance-science.html). His research topics focus on mortality modeling and the identification of long-term mortality trends. He holds a Master of Science degree from Ulm University and is a junior member of the German Society of Actuarial and Financial Mathematics (DGVFM). Han Lin SHANG is a Senior Lecturer in Statistics at the Research School of Finance, Actuarial Studies and Statistics, Australian National University. He obtained a First Class Honours degree in Statistics in 2006 from LaTrobe University, and obtained a PhD with Mollie Holman medal from Monash University in 2010. He has research interests in actuarial studies, computational statistics, demographic forecasting and empirical ﬁnance. His publications include articles in the Journal of Computational and Graphical Statistics, Annals of Applied Statistics, Statistics and Computing, Computational Statistics and Data Analysis, Journal of Time Series Analysis, International Statistical Review, Journal of Nonparametric Statistics, Journal of Multivariate Analysis, Journal of Population Research, Demographic Research, Population Studies and Insurance: Mathematics and Economics. He is currently serving as an associate editor for Journal of Computational and Graphical Statistics and Australian & New Zealand Journal of Statistics. 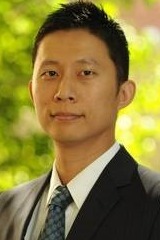 Tianxiang SHI is an Assistant Professor of Actuarial Science at the Department of Risk, Insurance and Healthcare Management, Temple University. He obtained his PhD in Actuarial Science from the University of Waterloo and is a Fellow of the Society of Actuaries (FSA). He also received a B.S. degree in Mathematics from Zhejiang University in China and a M.S. degree in Actuarial Science from the University of Illinois at Urbana-Champaign. 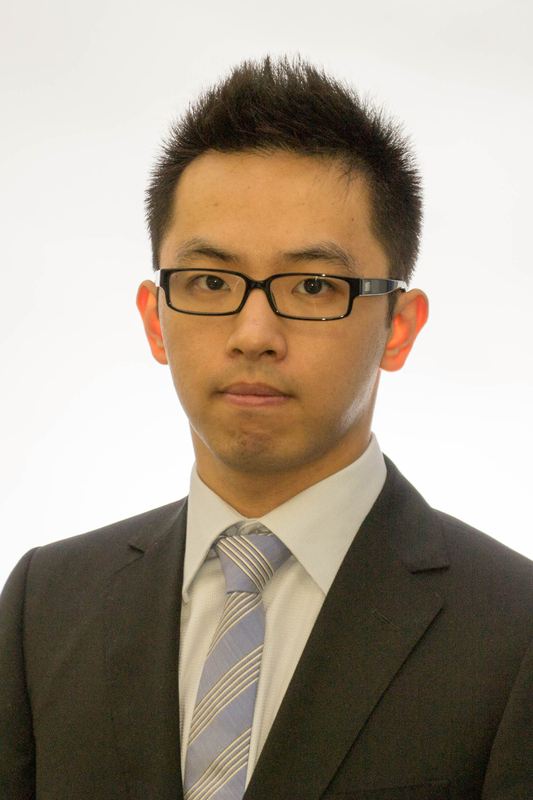 Dr. Shi’s research mainly focuses on risk and insolvency analysis, pension, stochastic modeling in insurance and finance. His research papers have been published in major actuarial and insurance journals such as Journal of Risk and Insurance, Insurance: Mathematics and Economics, ASTIN Bulletin, and North American Actuarial Journal. David SMITH is a Senior Lecturer in Actuarial Science in the Faculty of Actuarial Science and Insurance, Cass Business School, where he is Course Director of the BSc (Hons) Actuarial Science degree. He has carried out a great deal of research with Professor Les Mayhew in developing new methods of projecting populations as well as investigating new ways that the increasing costs of pensions and long-term care in the UK could be funded. He completed the Institute of Actuaries’ examinations in 2002. Karen C. SU is an assistant professor at the Department of Insurance and Finance, National Taichung University of Science and Technology, Taiwan. She received her Ph. D. in finance from National Taiwan University and M. S. in risk management and insurance from University of Wisconsin-Madison. Her research interests include actuarial science, risk theory and life insurance. Kevin Hsin-Chung WANG had 8 years work experience at Cathay Life Insurance Co. in Taiwan. He received his Ph.D. degree from National Chengchi University in Taiwan, He accepted an offer from Department of Finance and Actuarial Science, Aletheia University, as an associate professor and chairman and now also serve as the director in Chung Hua Senior High School. His major research fields are statistics and actuarial science. Jennifer WANG is the Distinguished Chair Professor at National Cheng-Chi University. She is the current president of Taiwan Risk and Insurance Association (TRIA) and the chairman of Fintech Research Center at National Cheng-Chi University in Taiwan. She is also the current President of Pension Funds Association. For the past three years, she has served as the Chairperson of the Financial Supervisory Commission in Taiwan. Professor Wang was also elected as a board member of both the American Risk and Insurance Association and the Asia-Pacific Risk and Insurance Association. With extensive research in the risk management for insurance companies and pension fund management, professor Wang has served for years as the board of director and consultant for many life insurance companies and as the board member to various committees in major pension funds, including National Annuity Insurance Fund, Labor Insurance Fund, and Public Service Pension Fund in Taiwan. She was also a research fellow of China Center for Insurance and Social Security Research in Peking University, China. Her main area of research interest includes risk management and insurance, longevity risk and pension, financial market, Fintech, retirement planning and annuity market, especially in the asset liability management issues for pension fund and insurance companies. Polin WANG is currently a risk management and insurance phd student at university of Georgia, working for a research program funded by the Economic and Social Research Council (ESRC), which is titled as “Changes in the distribution of resources across generations in both the UK and the US". He holds bachelor degrees in applied mathematics and management science at National Chio Tung University, and master degree of math finance from Boston University. Prior to current position, he worked for Cathay life Insurance Company in Taiwan and Cathay Conning Asset Management in Hong Kong, specializing product development and asset liability management (ALM), economic capital (EC) model development in particular. His completed SOA exams include P, FM, MFE, MLC, and C.
Anthony WEBB holds a Ph.D in economics from the University of California, San Diego. After ten years at the Center for Retirement Research at Boston College, he is currently the Research Director at the Retirement Equity Lab at The New School, New York. His research focuses on the operation of annuity and long-term care insurance markets, the United States Social Security system, asset drawdown in retirement, and financial preparedness for retirement, and has been published in journals including the Journal of Risk and Insurance, Insurance, Mathematics, and Economics, and The Geneva Papers. Anthony has been funded by the United States Social Security Administration, the National Institutes of Health, and AARP, among others. Mengyi XU is a PhD student at ARC Centre of Excellence in Population Ageing Research (CEPAR) and UNSW Business School. Her PhD thesis looks at pre-retirement investment strategies and post-retirement income solutions in the presence of housing. She obtained her Bachelor of Commerce (Hons) degree from UNSW Australia. Ching-Syang Jack YUE is a consultant, an actuary, and a professor of Statistics Department at College of Commerce, National Chengchi University. Jack formed the Statistical Consulting Center and is one of the founders of Survey Center at College of Commerce, National Chengchi University. He served as the Chair of Statistics Department, National Chengchi University in 2003~2005 and the Chair of Taiwan Population Association in 2011~2013. Jack has been a consultant and advisor in life table construction and population study, as well as a reviewer of the Review Committee of Life insurance Products of Financial Supervisory Commission, for the Taiwan government. Jack focuses his research on the statistical study of experienced rates, especially on the longevity risk, and he is also a leader of Big Data research team at College of Commerce, National Chengchi University. His research work can be found in several academic journals, such as ASTIN Bulletin, Geneva Papers on Risk and Insurance, Insurance: Mathematics and Economics, Journal of Clinical Nutrition, and North American Actuarial Journal. Jingong ZHANG is a Ph.D. student in the Department of Statistics and Actuarial Science at the University of Waterloo. His research interests focus on time-consistent planning, stochastic optimal control and longevity risk management. He is a Society of Actuaries James C. Hickman Scholar 2015-2018. Nan ZHU is an Assistant Professor of Risk Management at the Smeal College of Business, Pennsylvania State University. He earned is B.S. and M.S. in Financial Mathematics, and B.A. in Economics, all from Peking University in China, and received his PhD in Risk Management and Insurance from Georgia State University. He is a Fellow of the Society of Actuaries (FSA) and Charted Enterprise Risk Analyst (CERA). 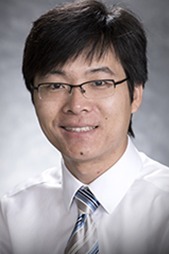 Dr. Zhu’s research interests include stochastic mortality modeling, secondary life market, longevity risk management, and insurance contract design. He has published in the Journal of Risk and Insurance, The North American Actuarial Journal, The Geneva Papers on Risk and Insurance. His doctoral thesis was supported by the 2011 Research Grant from the Geneva Association.